Bygie Hudson’s isolated life as an artist was perfect… except for her husband. Her seclusion is shattered when the police arrive to tell her there has been an accident. The man she’d been married to for fifteen years, and considered divorcing for fourteen, is dead… and they believe she may be behind it. 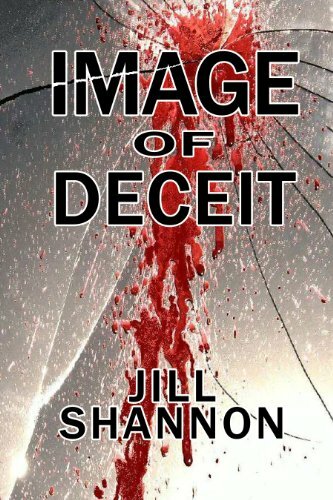 As she fights to clear her name, she learns her husband has been selling far more than cars through their successful dealership, and the corruption is linked to a prominent judge… with tentacles reaching straight into San Diego PD. The deadly fallout puts her life in jeopardy. When a witness disappears, and the threat of a reporter on the hunt for headlines is removed, lead Detective Tom Hall is told to walk away from the case. But the widow is an enigma. Unwilling to let go, he risks what’s left of his stalled career by following leads on his own time. He refuses to let Bygie walk away until he uncovers the truth. Sometimes, you just can’t see crazy… even when it’s staring you in the face.